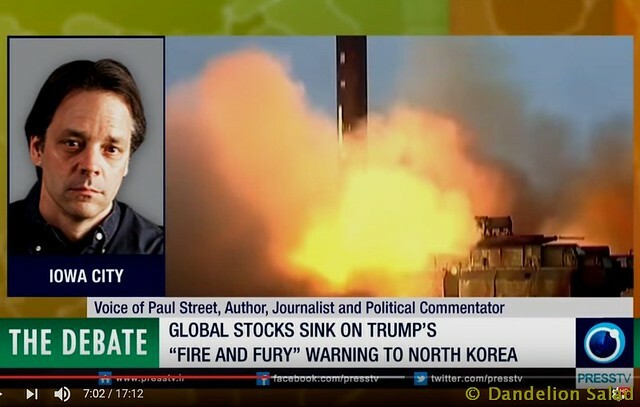 In this edition of The Debate, Press TV has conducted an interview with Paul Street, an author, journalist and political commentator from Iowa City, and Frederick Peterson, a congressional defense policy adviser, from Richmond, to discuss the escalating tensions between Washington and Pyongyang following US President Donald Trump’s threat to unleash “fire and fury” on North Korea. US tensions with North Korea has reached a boiling point. The US has threatened North Korea with “fire and fury like the world has never seen before”. In this edition of the debate, we’ll look at the latest threats from both North Korea against the U.S. territory of Guam where US soldiers are stationed and US’s response, one in which Trump’s rhetoric coincides with the Nagasaki nuclear bomb attack which killed over 80 thousand people. US President Donald Trump said his “fire and fury” warning to North Korea may not have been “tough enough,” shrugging off domestic critics who accused him of reckless rhetoric. https://democracynow.org – The war of words between the U.S. and North Korea continues to intensify, with North Korea threatening to strike the U.S. territory of Guam, while Defense Secretary General Mattis warned North Korea’s actions could result in the “destruction of its people.” This came after Trump vowed to strike at North Korea with “fire and fury.” Meanwhile, the U.N. Security Council recently imposed a new round of sanctions against North Korea over its test launches of two intercontinental ballistic missiles last month. We speak with journalist Tim Shorrock, who recently returned from South Korea. President Trump has doubled down on his “fire and fury” threat to North Korea, saying maybe it “wasn’t tough enough.” Christine Ahn of Women Cross DMZ says that despite dangerous bluster from both sides — and upcoming US-South Korea war games — peaceful solutions are still within reach. Stop the insanity, say no to war with North Korea! 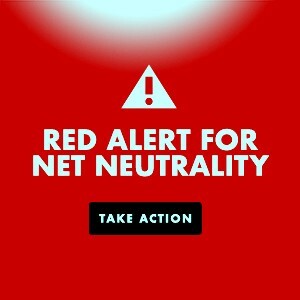 This entry was posted in Action Alert, All Posts News Politics and-or Videos, Anti-war, Dandelion Salad Videos, Imperialism, Nukes, Politics and tagged Bruce Gagnon, Christine Ahn, Donald Trump, Kim Jong-un, North Korea, Paul Street, Same As It Ever Was, Tim Shorrock. Bookmark the permalink. I like Paul Street. He’s one of a few lefties who hasn’t taken up the establishment task of pushing Camelot propaganda. And he isn’t just quiet while others praise the man. He tells it like it is. I wish he’d write a book about JFK and his awful brother. We have too few. Off Guardian doesn’t like me objecting to their pushing of Camelot propaganda. That otherwise fine org really fails with that. When I complained, I was told that I could submit an article. If they actually wanted a range of views, they could easily – if they don’t have objections to Noam Chomsky or Paul Street or Seymour Hersh – solicit articles from serious writers. I might be serious, but a serious writer is more than just serious. I work full time, don’t know how to do research and possess zero resources (other than my computer) to do research. Test-firing nuclear missiles into the Pacific, altho’ clearly not armed, is nonetheless perpetuating extremely wanton and irresponsible behaviour. by the US ~ especially after decades of murderously devastating atomic bomb tests, utterly lethal for both the ocean and the atmosphere. How disgraceful and sacrilegious is that? And these pantomime heroes fuss over N Korea’s feeble efforts? All industrial warfare is ecocidal. It is therefore by definition utterly immoral, self-destructive and by any rational standard, monstrously illegal. It seems that those in power never look to the destruction and devastation to the environment where they drop their bombs!